Cook the millet for about 20 minutes in the stock, adding some more water if necessary. Once it has cooled down, add the Herbamare, ground black pepper, garlic granules and the egg. Mix it all well together, shape into sausages, burgers or whatever shape you prefer (you can add some oatmeal if the mixture is too wet). Then gently fry in the oil until golden. Note: for a vegan option, I think you could use something like mashed potato to bind it, or egg replacer. 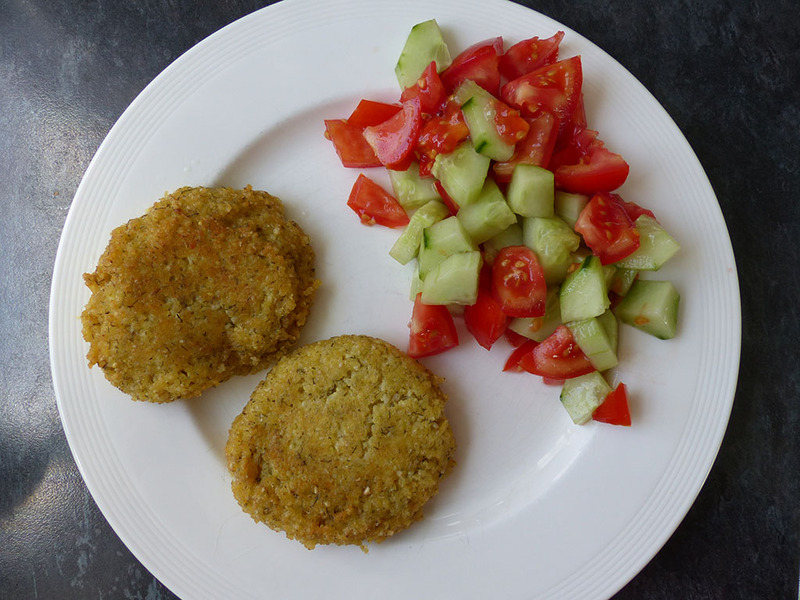 Serve with a tomato/lettuce/cucumber salad.